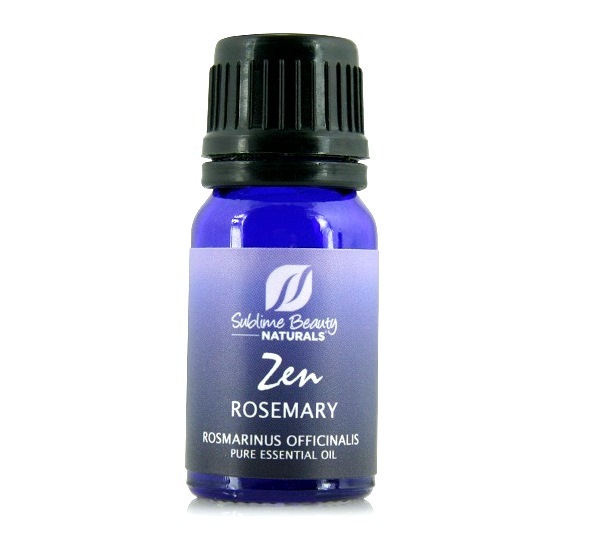 The essential oil of the rosemary bush, with its strong woodsy aroma, has many holistic uses. Known in folklore and myth as far back as ancient Greek and Roman times, rosemary is a versatile oil that works its magic alone, and pairs well for an even stronger effect with other like-minded essential oils. Essential oils are well known to possess many medicinal properties, including antiviral, anti-inflammatory, and antiseptic qualities. Rosemary essential oil also possesses many of these qualities, making it perfect for use in improving and enhancing memory and concentration, relieving aches and pains, stimulating hair growth, relieving indigestion, and reducing allergic and viral respiratory symptoms. 1. Boosting Memory and Enhancing Concentration. Rosemary essential oil supports brain and neurological functions. 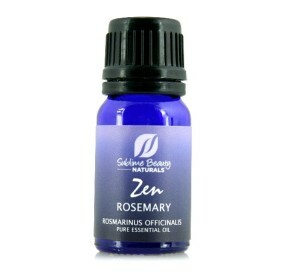 When needing to focus on a task, diffuse rosemary essential oil. Inhaling the aroma can deepen cognitive functioning and help increase concentration. As a stimulant, it’s great at combating forgetfulness, mental exhaustion, and depression. Inhale it to simply lift your spirits and enhance your mood. Currently, researchers are studying the effects of rosemary essential oil on Alzheimer’s patients. They have determined a link between higher neural transmitters and this essential oil. 2. Relieving Aches and Pains. Rosemary essential oil has long been used to treat headaches, muscle aches and pains, and joint pain, including rheumatism and arthritis. The rosemary plant contains the chemical salicylic acid, which is also found in aspirin. In a topical treatment for muscle and joint pain, massaging the oil directly onto the afflicted area provides quick relief. Diffusing rosemary and inhaling its pine like aroma helps ease pain from inflammation related to arthritic joints and sprains or injuries. 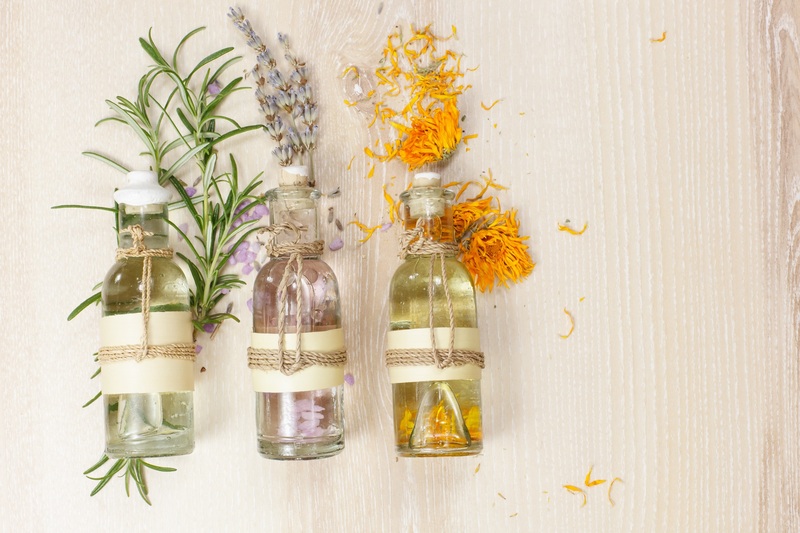 Add a couple drops of rosemary essential oil to your warm bath to ease muscle tension. Or use it on a warm compress. 3. Help Stimulate Hair Growth and Ease Skin Issues. Due to its antimicrobial and antibacterial agents, rosemary eases symptoms of many skin disorders from eczema to acne. These qualities also make it a wonder in treating hair conditions including dandruff and baldness. Massaging rosemary oil mixed with an oil directly into your hair, or adding it to homemade shampoos and conditioners, can help stimulate the hair follicles and can promote longer growth and stronger hair. Daily use of rosemary essential oil also decreases the severity of dandruff and flaky scalp. Use it with olive oil as a homemade hot oil treatment to strengthen your hair. While Peppermint is traditionally known as the essential oil for nausea and gastrointestinal relief, rosemary has long been used for relief as well. Rosemary can help reduce stomach issues, including flatulence and excessive gas, bloating, stomach cramping, and constipation. Rosemary also aids in digestion and is an appetite stimulant. New research indicates it could help to clean the liver. It is even thought to help alleviate menstrual cramps and symptoms in women. Blend it with your favorite cream or oil and rub on your stomach and intestinal area, and diffuse it or breathe it in to help. 5. Allergic and Viral Respiratory Issues. Using rosemary as an aromatherapy treatment can help relieve throat and chest congestion from allergies, colds, and the flu. Its antiseptic qualities make it great for aiding in respiratory infection treatments. It is also antispasmodic, making it helpful for coughing fits and asthma treatments.